Be the first to know the day P90X3 is ready to be shipped by entering your name and email in the form below. As an added gift, you’ll get a FREE bonus workout when you order from this site. As soon as this program is released I’ll give you the full P90x3 review. I don’t have any other information on it right now other than what you see here. If you want to be one of the 1st to get your own P90X3 copy just fill in the form below. Tony Horton’s newest workout breakthrough! And now, we’ve done it again, with P90X3. P90X3 is different from any workout you’ve done before. It makes getting ripped . . . absolutely foolproof. I guarantee you’ll never work out the same way again. Want to hear what sets this program apart from all the others? Sorry, you’ll have to sign up first. I’ve got to keep this a secret just a little bit longer . . . But I can make sure you will be the first to know about P90X3, once it’s available. Just fill in your name and email address above, and we’ll send you an email with all the details as soon as we can. 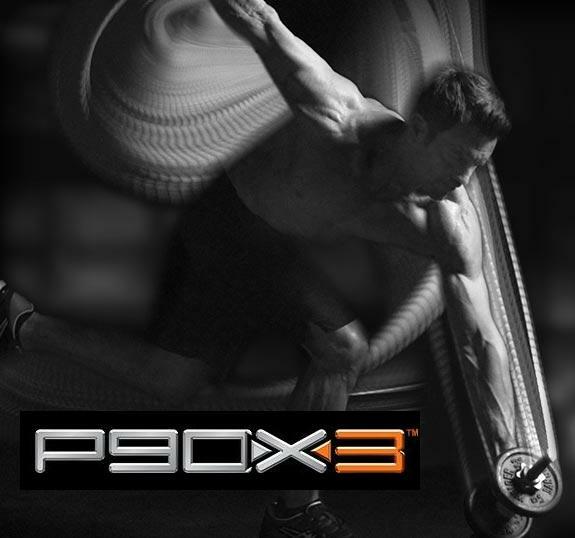 Stay tuned for news about P90X3! Don’t forget to fill out the form above so you’ll be one of the first to be able to get this AWESOME PROGRAM! That’s right people! 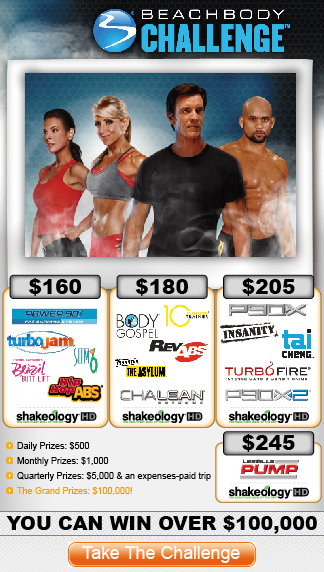 For the month of March, you can get a P90X discount and P90X2 discount on the challenge packs. This is a great deal and doesn’t come around often! I love sharing this with you because it will save you well over $80.00, provide you with your healthiest meal of the day “Shakeology,” and you get FREE shipping plus get in the best shape of your life with your choice of P90X or P90X2. All for $180.00. WOW! 30 Day free trial as a “CLUB” member, which gives you access to certain parts of the site that Non-CLUB members can’t get to including an easy to follow meal plan your entire family can enjoy! FREE shipping on your order, and continued free shipping on Shakeology! I have done both both P90X and P90X2 and still use both programs and continue to get amazing results. Im actually doing a hybrid of both programs right now. If I get some ‘Facebook’ likes at the end of this post, I’ll upload some results pics. I’ll be at the end of this 90 days in just 3 more weeks. They are two different programs that target the body and its muscle groups differently. Bottom line, Tony just knows what he’s doing! I haven’t done any of his programs that I didn’t get amazing, noticeable results. I’ve been drinking Shakeology for almost 2 years now I love it. I truly couldn’t imagine a day without it. To get both of these items at this price is a complete steal and if you have been on the fence about either then now is the time to do something about it and change the direction of your life. And if you’re still wondering why Shakeology is so important…stop wondering! It truly is the best thing to put in your body! Like I said; I’ve drank it everyday for the last 2 years almost and I feel great. Check out what Tony Horton (P90X Master) says about Shakeology in this short, funny but very true video. Remember, you can only take advantage of this P90X and P90X2 plus Shakeology discount for the month of March so click on the link below for the one you want and get started. Your body will thank you. Im going to try to give you the best review on Building muscle with P90X that I can. A lot of times I think that Im very mechanical in writing my reviews. So Im going to really just try to give your the real deal, nothing mechanical. In order to give you an accurate answer, I have to tell you how it worked for me. I mean you can search the internet and exhaust youtube and see that it works. I personally got great results. Feel free to check out my youtube video on the right side to see how I started and my end results. I like most everyone see myself everyday in the mirror. So I could definitely see my body changing, but I personally couldn’t tell that my muscles were bigger until everyone around me started to tell me. My brother who I don’t see but about once a month actually told me after I had completed the 1st round of P90X, while we were at the pool that he could see a great deal of muscle. I know it was hard for him to pay me that compliment, but he couldn’t deny it. I was always a scrawny guy. Before P90X the only thing that wasn’t scrawny was my belly. Thats what Crown Royal and beer will do for you. I mean it wasn’t huge but it was to the point that I knew if I didn’t do something it was just going to continue to grow. The simple answer to will P90X build muscles is YES. P90X will definitely build muscle. It will take fat and transform into unstoppable muscle. Many of you who frequent my blog knows that Im a P90X guy. I love the program! Im not going to go into how it works, other than they figured out how to trick your muscle (Muscle Confusion) so that you practically never plateau. How Big Will my Muscles Get? Well that all depends really on you. Genetics play role in how your body will react to the workouts and supplements. To tell you the truth and I fought this for a long time, but what you put into your body is just as important as your workouts. When I first started P90X and became a Beachbody Coach, I didn’t know anything about anything. I honestly thought I could just clean up my eating a little and workout and I’ll have an amazing six pack and big muscles. Wrong. You have got to be dedicated to eating clean. P90X did a great job in developing the P90X Meal Plan. As I heard Tony say time and time again, that the P90X meal plan isn’t going to work for every single person perfectly. Your going to have to play around with it and maybe add or take away from it. But it is a great tool to etch out a solid meal plan for yourself. What Im getting at is if you eat pizza once a week consistently its going to definitely affect what your body looks like. P90X isn’t for gaining muscle mass. It can be done and that kind of goes back to genetics. But I want to be straight forward, it will build muscle. Amazing muscle. You’ll be able to do things you never thought possible. It will literally turn you into an athlete if thats what you want. The testosterone level in the body is one of the main reason which is responsible for stimulating muscle growth, so if its level is low, it affects the muscle growth in a person by not even growing in spite of a person going to the gym every day. Fortunately, low testosterone is treatable, so to learn more about it and how you can fix it click on Milwaukee hormone replacement therapy for men with low testosterone. What Will Help me During my Journey? There are a few things that will definitely help you to achieve greater results. Just a year ago I heard Tony say that he is a big supporter of Creatine. I had never used it. I thought it simply pushed water up into the muscle. But while doing my P90X Certification I learned its real benefits. Your body actually creates creatine and it can and will be deplete during your workouts. Adding creatine gives you a blast of extra strength and muscle growth plus speeds up muscle recovery. So if size is something that you’re looking for this will help some. I have just recently in the last 125 days started to take the Creatine MAX from the Body Beast Supplements. I started taking when I did my first 90 days of Body Beast and I still use it with my P90X workouts. Im in week 5 of another round of P90X right now and I can tell a difference in using it and I’ve actually maintained the muscle gains that I got from doing Body Beast. Shakeology is another must have. I get asked about Shakeology a lot. Most people say, do I have to drink it with P90X? I tell them that they don’t have to do anything, but again, this has everything in it that your body needs. Why wouldn’t you want to give yourself the very best? And lets face it. P90X is an extreme workout and takes a lot out of your body. Shakeology offers sustained energy that helps you through your workouts and throughout your day. It can be used post workout shake or as a meal replacement. It has 18 grams of the highest quality protein. I’ve drank it since I started P90X and working out without it now just isn’t an option. E&E Energy and Endurance. It gives me that blast of energy to start my workout. Its healthy. Its like drinking a Red Bull but much cheaper and its not unhealthy like most energy drinks. Lastly is sleep. You need to give your body the right amount of sleep. Sleep is the one thing we all need that requires nothing. It lets your body recharge. So don’t spend hours in front of the TV and cut your sleep time short! If you’re considering P90X for the first time, just know, this is a lifestyle. Its like the ‘red’ pill from the Matrix. Once you do it, you just can’t go back. I mean I guess you could, but why would you want to? P90X is one of the greatest programs for both men and women. And ladies have no fear, you won’t bulk up from these workouts, unless thats something your wanting. Pumping iron will build muscle and muscle will burn fat. P90X started me on my journey and I swear by it. If you want a chiseled body, muscles and over all better health, then don’t leave this site without getting P90X! If you just want P90X alone. If you want P90X and Shakeology at a discounted price with free shipping consider the Challenge Pack. If you decide you want to add in Creatine, you can get it during your checkout process by adding it in from the Supplements page. I always ask that if you found this helpful to please click the like button below and share this with your friends and other social networks. Thanks for visiting. Both P90X and Body Beast are very good workouts but target a different result. I’ll give you my best P90X Review and Body Beast Review and let you decide which program you think will best help you accomplish your goals. They will both help with muscle definition and working on your six pack, but one as it was described to me is for “looking” and the other is for “doing“. Those are the words of Tony Horton the co creator of P90X. What I mean by that is we all in a sense workout for ego to a certain degree. Most of us want a great looking stomach, defined arms, legs, shoulders and back, male and female. Of course in the back of our minds we all want to be over all more healthy and in great working physical condition, but you have to admit there’s some ego involved as well. This workout is for “doing”, again this is how Tony described it an online chat with the Team Beachbody Club members in June of 2012. Doing, in layman’s terms means to be able to perform athletically. 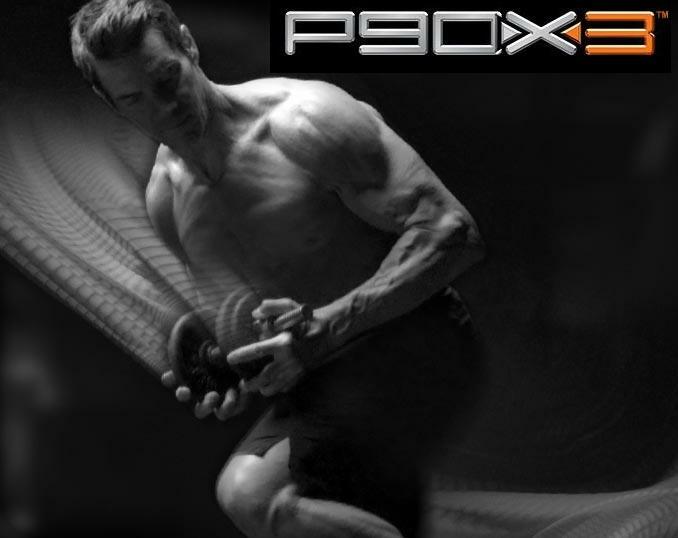 P90X is designed to burn fat, lean out the body and build muscle, not muscle mass. While some definitely do get great muscles from doing the P90X program, in most cases it shreds the body of fat and turns it into lean muscle. The moves associated with P90X help you to be able to play sports better (for fun, or even as a pro athlete) or help you enjoy physical activities such as running, rock or rope climbing, mud runs and so on. Or even practical things such as just being able to move better or have better balance. For example simple things like picking up your child, doing yard work, climbing steps, or other leisure activities that might be a problem for you right now. This program is the one for “looking”. Im not sure if Tony was being sarcastic when he gave this answer…I personally like Sagi Kalev (co creator of Body Beast) and have done 90 days of Body Beast (and got great results), but there is some truth to what Tony said. This program is all about building muscle mass. There is very little cardio in this program, with the exception of Leg day which really revs my heart rate, and there is a Beast Cardio workout, but it seems like another Leg routine to me. The Body Beast program is all about ego. You want big muscles. What do we do when we have big muscles? We look at them…every time we walk past a mirror we have to give a little “flex” if you know what I mean? And there is nothing wrong with that. But lets be realistic. You don’t see many body builders out running 5k’s or 10k’s. Why? Because you don’t want to lean out that muscle mass. I was under the same impression that Im sure most of you are, before I learned that cardio isn’t always the most effective way of burning fat. Tony even said himself, lifting weights builds muscle. Cardio will give you an after burn for and hour or three, but (and thats a big but) muscle burns fat 24 hours around the clock, which is why both program work and is why the Body Beast program won’t make gain fat taking in a all those calories. Oh yeah, with the Beast you EAT! Both the P90X and Body Beast programs provide you with excellent meal planners. But again they are both very different. Fat Shredder: Phase 1 is a higher-protein diet that jump-starts your fat loss as you begin building muscle. Energy Booster: Phase 2 gives your body the energy it needs with a balanced mix of carbs and protein. Endurance Maximizer: Phase 3 is an athletic diet with more complex carbs and lean protein for ultimate performance. Body Beast is a little more lenient. It doesn’t tell you what to eat each day. It does however give you an example of what your day could look like. You first need to figure out how many calories your going to take in (the planning guide will help you figure this out), and then you can choose from the recipe’s in the book for healthy ways to get your calories. McD’s hamburgers are definitely not on that list of suggested foods. Body Beast did a great job of planning a healthy way for you to build your muscle mass and has gotten great reviews for it. Well there isn’t a good and better choice here. You really need to figure out what your goals are. If you want to lose weight, and build a lean body then see here for pricing report, work on your athleticism, balance, running or just be able to enjoy some of the simple things in life we take for granite like picking your child up or playing with the grand kids in the yard, then the P90X program is the way to go. For the men reading, you can add a great deal of muscle with P90X so don’t get me wrong. But if straight up muscle mass is what your looking for, and you enjoy lots of weight lifting, and/or want to even compete in competitions then the Body Beast program is what you want. For the ladies, let me say this, I do know several women who do Body Beast and there is actually a “Lean Beast” schedule that you can follow. The amount of size you put on is based on the calories you take in and genetics does play a small role, so if you’re a lady and you want to do this program I encourage you to do so! So who is P90X designed for? Simple answer: Anyone that wants to be in better shape, and live a healthy lifestyle. It helps with simple task around the house or performing athletically better. 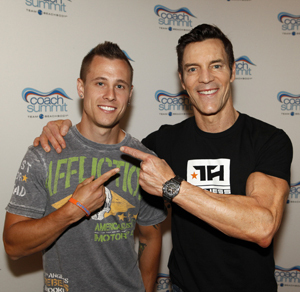 The winners of the $100k at summit in 2012 both did P90X (and Shakeology) to get their results. The male was obese to start and he actually lost 200 lbs. So really anyone can do this workout. But it takes a lot of commitment. Don’t worry though, you get free support from me as your coach, and tons of support from the Team Beachbody community. They are real people, getting real results. 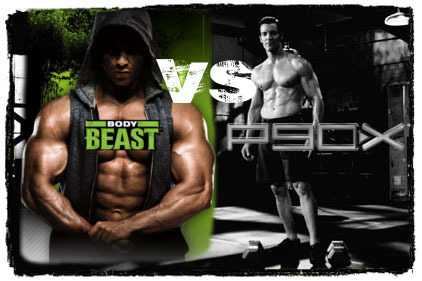 Who is Body Beast designed for? Any male or female that wants to concentrate on building muscle. You will and can burn fat and lose weight with this program. Just keep in mind that its designed to make you a “Beast”. Sorry I had to say it, but really it is designed to help you build muscle. And the same applies here. You get me free for support as your coach, and tons of support from the Team Beachbody community. Just going to keep is short and sweet. You’re going to need equipment for either of these programs. This really shouldn’t be under optional. Nutrition is just as important as the workout. Shakeology. Your body needs it. Its great for meal replacements to help you achieve your weight loss goals, and its a great post workout shake. It has everything you need to give your body after a hard workout. I even drank Shakeology when I was doing Body Beast. It’s just a way of life for me. Dumbbells…If your serious about building muscle, in my opinion you really need a complete set, 5’s to 50’s or even 80’s. There are some moves that are very challenging with only 5 lbs. Some moves I can use 50’s and that’s not enough. The Body Beast Supplement. If your committing to the workout, you need to commit to the supplements. It’s perfectly designed to give you what you need. Designed by experts and tested by real people, plus it helps you achieve your caloric goals. Curl bar. Before I got the curl bar I used my dumbbells and it worked ok, but I personally think I got better results with the curl bar. You can get the bar and the weights for a great price when purchasing Body Beast. I’ve made my decision, so how do I get my program? For the P90X Program I would recommend purchasing the P90X Challenge Pack. Its at a discounted price, and gives you the entire workout plus your first 30 day supply of Shakeology. Its the most economic way. If you just want to start out with the program, you can Buy it here. For the Body Beast Program I would recommend purchasing the Challenge Pack. Its at a discounted price, and gives you the entire workout plus your first 30 day supply of all the supplements. Again its the most economic way. If you just want to start out with the program, you can Buy it here. 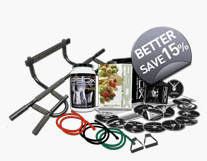 You can find all the equipment you need minus the dumbbells once you’ve gotten the program from your new free account. I hope this was a big help for you! If you did find it helpful, please click the Facebook ‘Like’ button just below and share it with your friends and your social networks. If you need more information or just want to bounce some ideas off of me, please feel free to contact me or leave a comment, I would love to hear from you! Good Luck in your Journey! Why am I So Tired from Doing P90X? Tired during or after doing P90X? Well that could be one of two reasons. 1. either you didn’t get enough rest or 2. you’re not eating right. Yep thats what I said. What you put in your body can affect your workouts and how you feel all day long. I personally know all about this. How you ask? Well because I was in both categories when I first started doing P90X. I had never counted calories when I first started with the Beachbody workouts. To be honest I never knew how. What does Counting Calories have to do with P90X? P90X is an extreme workout. Your body is just like a car. If you don’t put fuel in your not going anywhere. I’ll just be completely honest with you. I was ignorant to health and fitness prior to P90X. When I first received P90X, I was like over half who do the same thing. I got it out of the box, looked at the schedule, tossed the book aside and started the workouts. Why is the wrong? Again P90X is an extreme workout. When you do the workouts your burning calories. When you burn calories, you need to make up for it by what you put in your body. I simply thought that eating healthy was what I needed to do. And it was what I needed, but you have to know what exactly to eat, the portions to eat and when. You have to give back to your body what your taking out. Lets just say for example when you do P90X Plyometrics that you burn 600 calories. Some of you may know where Im going with this, but honestly I never knew. If you burn 600 calories, then you are at minus (-)600 calories. So if you need to take in 1700 calories for the day and you don’t make up the 600 you’ve burned, but you do meet your 1700 calorie goal, then you’re really only at 1100 calories for the day. So that means that your energy level is going to be down somewhat because your body needs the full 1700 to keep up with your lifestyle and the extremity of the P90X Workouts. The answer to that question is inside your P90X Nutrition Guide. You know the white book that was tossed to the side. In the first few pages you’ll learn what you need to know about how to eat. • Calculate your daily activity burn, the calories required for daily movement apart from exercise. • Add the calories required for you exercise needs, which have calculated at 600 calories per day for the P90X program, etc. • Now use your energy amount to determine your nutrition level in the table provided. Of course I left some of the verbiage out, I don’t want to copy everything down from the book. At that point once you’ve figured out how many calories you need, you can proceed on through the 3 phases of the meal plan. Now Im not going to say that you have to 100% stick to the P90X meal plan, even though it is highly recommended, but at least you’ll have an idea of what your calorie intake should be, and if you read through each phase you will see what types of food you should be eating. If you feel like your not going to stick to the P90X Nutrition Guide I would recommend that you follow the Online Meal Planner through the Beachbody Club Membership. Unless your an expert, I can’t stress enough that you need to follow the outline of a good meal plan. Beachbody has done their research and hired experts to put these tools together so theres no sense in trying to recreate the wheel or struggling through your diet yourself. Shakeology is an absolute must for any intense workout. You’ll find great reviews on it, plus almost every single trainer from Beachbody will tell you that your body needs it. Just ask Tony Horton from P90X, Chalene Johnson from TurboFire, or Shaun T from Insanity. With great fitness there needs to be great nutrition! I personally can answer that. Only you can determine how much rest you need. I can only recommend that you get anywhere from 6.5 to 8.5 hours of rest each night. If you have the luxury of sneaking in a nap mid day, go for it! I just need more juice during my workout! This last bit is for those of you who just need a little more ‘get up and go’ in your workout. If you’ve gotten everything else under control but you want a little more focus and strength, then the best recommendation I could make is Beachbody’s E&E (Energy & Endurance) Formula. I do a few scoops right before my workouts and it truly does help to make it through them. I hope this helps you get some energy back. Good luck in your workouts, and please if I’ve helped you with this post, please click the ‘Like’ button below, share this blog with a friend, and leave me your feedback. Don’t forget to get your Free Account with me so we can stay connected through the Beachbody site also! Beachbody Free Membership.